With the first big double gameweek of the season kicking off on Saturday, we assess transfer targets from the majority of clubs with two fixtures as wildcards, free hits, bench boosts and triple captain chips are all set for deployment. Fitness concerns over several assets could decide the make-up of many squads ahead of DGW32. It does not get much better than a double gameweek with the league’s highest-scoring team (79 goals) taking on two of the division’s worst defences. Manchester City travel to face a Fulham side that have shipped a league-high 70 goals, before Cardiff – who have conceded 57 times – visit the Etihad. Sergio Aguero (£11.8m) and Raheem Sterling (£11.6m) are unsurprisingly the top two City targets. The Argentine striker has started each of the last eight gameweeks, scoring eight goals and setting up two. By being awarded the assist for the first goal of Sterling’s hat-trick at home to Watford in GW30, Aguero maintained his record of posting attacking returns in every Etihad start this season. The forward was also not on Argentina duty ahead of DGW32. After the two Premier League games, City play Brighton in an FA Cup semi-final on Saturday week before the first leg of their Champions League quarter-final against Spurs the following Tuesday. While Gabriel Jesus (£9.9m) might be expected to gain some minutes over that run, his last league start came in GW22. The Brazilian has started all four of the club’s FA Cup fixtures, while Aguero has been used just twice in that competition – both times from the bench. If Jesus is to earn a start up front ahead of the league’s top scorer, the cup tie appears the likeliest game in which that scenario might occur. The 21-year-old played 30 minutes in Brazil’s 1-1 friendly draw with Panama in Portugal last Saturday and scored twice in a 20-minute cameo against the Czech Republic in Prague on Tuesday evening. In Saturday’s early kick-off, Pep Guardiola’s side travel to take on the league’s worst defence in Fulham. The Cottagers have conceded seven goals in three games since Claudio Ranieri’s departure, with Scott Parker unable to fix the numerous leaks in the club’s backline. In those fixtures against Chelsea, Leicester and Liverpool, Fulham allowed their opponents 54 shots – 35 of which were attempted inside the box. Cardiff have shipped ten goals in their last four gameweek outings, including a 5-1 drubbing at home to Watford in GW27. The Bluebirds conceded 46 shots – 31 inside the box – over that period. Neil Warnock’s side are not quite as porous as Fulham but are set to struggle on their visit to the Etihad. In eight games against top-six opposition this season, Cardiff have let in 27 goals. City could hardly ask for two better match-ups as they aim to overtake Liverpool, who have played an extra game, at the top of the table. Aguero has recent starts, form, fixtures, lack of international duty and a fearsome home record all in his favour ahead of the double. He also started both of the Citizens’ DGW25 fixtures. The striker is set to battle it out with Sterling to be DGW32’s most-selected captain. The midfielder logged 70 minutes for England at Wembley last Friday, scoring a hat-trick and winning a penalty against the Czech Republic. He then played the full game in Montenegro on Monday, assisting a Harry Kane goal before scoring again himself. Sterling has outscored Aguero by 43 to 33 in City’s last four gameweeks, despite playing 279 minutes (three starts) to the striker’s 316 (four starts). The winger was used from the bench at home to West Ham in GW28, while he was also named as a substitute in the second of City’s DGW25 fixtures at Everton. Sterling had logged eight consecutive league starts before that Goodison Park game. Much like his Argentine team-mate, Sterling should profit heavily from games against Fulham and Cardiff. The City pair both blanked in Gameweek 29, when Eddie Howe deviated from his normal gameplan as Bournemouth effectively had all ten outfield players defending. Guardiola’s men scored once from 23 goal attempts and were perhaps a bit unlucky not to rack up a bigger scoreline. The Bluebirds have been poor against top-six teams this season and Fulham’s results are similarly encouraging for free hitters, triple captainers and owners of City players in general. The Cottagers have shipped 32 goals in 11 games against the ‘bigger’ teams this term. Sterling’s points-per-match figure of 7.3 is the highest in FPL. The attacker has posted four double-figure returns in his last six starts and captainers can be assured he will begin one DGW32 fixture at a minimum. For those with the luxury of being able to bring in three City assets this week, it will all come down to the structure of your free hit or wildcard squad. Ederson (£5.6m) is easily the safest option for that third slot, having been an ever-present under Guardiola so far. Aymeric Laporte (£5.9m) played in the Champions League and FA Cup for the Citizens after missing the club’s last three league fixtures with injury. The centre-half, who can also operate at left-back, has been rotated to the bench just once this season. Laporte has the added bonus of not having been on international duty over the break. City have kept four clean sheets over their last six gameweeks. Wanna pick a #DGW32 Free Hit team of players not called up for international duty? In midfield, David Silva (£8.5m) has started six of the last seven league games while Bernardo Silva (£7.5m) has begun one less fixture. The Spaniard has four assists over that period, with the Portuguese lagging behind on one. Bernardo did score in both the Champions League and the FA Cup since GW30, while David Silva has the advantage of not having Spain duty. Bernardo played 90 minutes for Portugal last Friday and another 90 minutes on Monday night. At £9.3m, Leroy Sane represent an expensive punt with explosive potential. The German – who scored for his country against Holland last Sunday – has started three times in City’s past seven fixtures. Guardiola expects to have Kevin De Bruyne (£9.7m) available “soon”, with the Belgian – along with Fernandinho (£5.3m), John Stones (£5.2m) and Benjamin Mendy (£6.1m) – pictured in ‘light’ training on Tuesday. FPL bosses will hopefully get a more detailed update on the quartet at Guardiola’s press conference tomorrow. The availability of KDB and Fernandinho could go a way to settling the Silva debate, with Bernardo having become first-choice in Pep’s front three before City’s central midfield options were lessened. Manchester United have the benefit of facing two FA Cup semi-finalists in DGW32. Wolves (7th) and Watford (8th) trail sixth-placed Chelsea by 13 and 14 points respectively. The league’s seventh-place finishers may gain a Europa League qualifying spot, though Burnley found that award to be a poisoned chalice this season. Wolves’ seemingly aspirational nature could see Nuno, who is operating with a small squad, retain the core of his XI for league games. The promoted side have only kept one clean sheet in their past six gameweeks, at home to Cardiff, but conceded just one goal in each of the other five fixtures. Watford, on the other hand, appear to be more focused on their cup endeavours. Javi Gracia fielded several second-string players away to Man City in GW30 ahead of the Hornets’ quarter-final win against Crystal Palace, as key attackers Troy Deeney (£5.9m) and Gerard Deulofeu (£5.6m) were used from the bench. Watford kept clean sheets in GW25 and GW26 against Brighton (a) and Everton (H) before conceding ten goals in the following four fixtures. Five of those were let in at Liverpool in GW28 and three more were shipped at the Etihad. Paul Pogba (£8.9m) logged 180 minutes for France over the international break, supplying a sumptuous assist away to Moldova last Friday before completing the entire 4-0 win at home to Iceland on Monday. The midfielder, an ever-present under Ole Gunnar Solskjaer so far, has been on a fairly barren run of points after an explosive start to life when the now-permanent manager took over at Old Trafford. Pogba has managed just an assist in the last four gameweeks, totalling eight points over those fixtures. That includes a -1 score in GW29 after he missed a penalty at home to Southampton. Between GW27 and GW30 – which included games against Liverpool (H) and Arsenal (a) – the United man took eight shots, half of which hit the target, and supplied four key passes. Many have been criticising the inclusion of "out of form" Pogba in FH teams. Definitive news on the fitness of Marcus Rashford (£7.8m) and Romelu Lukaku (£10.6m) will be essential for owners, free hitters and wildcarders alike. The pair were both forced to pull out of their national team squads with ankle and foot injuries respectively. A report on Tuesday suggests the two forwards – along with Anthony Martial (£7.2m), Nemanja Matic (£5.0m) and Luke Shaw (£5.1m) – could be fit for Watford’s visit on Saturday. However, the Manchester Evening News reported on Wednesday that Lukaku could miss DGW32 entirely so Solskjaer’s press conference on Friday will be important for FPL bosses. Like Pogba, Rashford was firing on all cylinders at the start of Solskjaer’s reign but the forward is without a return in United’s past four gameweeks. Lukaku has scored four times (two braces) in that period as Rashford found himself pushed into a wider attacking role. In defence, Shaw – who withdrew from the England squad with injury – sits one yellow card away from a two-match ban. Victor Lindelof (£5.1m) opted out of Sweden duty as he became a father over the international break. The centre-half was rotated for United’s trip to Fulham in GW26 but has completed every other league game under Solskjaer. Chris Smalling (£5.6m) and Ashley Young (£5.7m) have both started each of the Red Devils’ last four league outings, with the latter offering assist potential, though Solskjaer does have plenty of options if he wants to rotate his back four. David de Gea (£5.7m) is a banker for 180 minutes over the double. The Red Devils kept clean sheets against Leicester (a), Fulham (a) and Liverpool (H) from GW25 to GW27 before conceding five times over ties against Crystal Palace (a), Southampton (H) and Arsenal (a). United were also breached twice by Wolves in their 2-1 FA Cup quarter-final defeat at Molineux. With games against Cardiff (a) and Brighton (H), the enigmatic Chelsea have plenty options for managers willing to back Maurizio Sarri’s side. 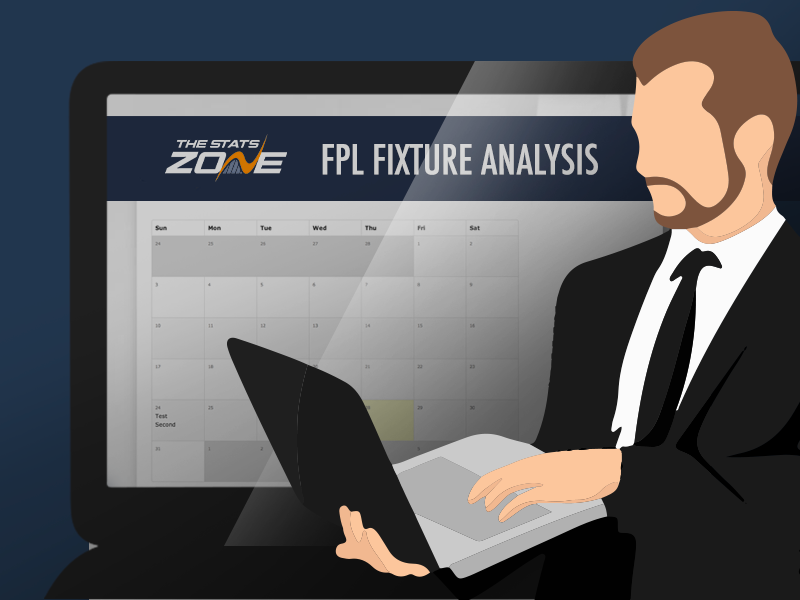 The Blues’ inconsistency has been a thorn in the side of FPL bosses all season. The fact that Sarri’s men have failed to score in eight games out of 30 over the campaign is indicative of the club’s attacking struggles. Eden Hazard (£10.9m) played all available minutes for Belgium over the break, scoring twice (one penalty) at home to Russia last Thursday and netting once away to Cyprus last Sunday. Hazard – who has one goal and one assist in the past four gameweeks – blanked in BGW31 to the irritation of investors. In that 2-0 defeat away to Everton, the midfielder took three shots (one on target) and made one key pass. The Goodison Park defeat has left Chelsea three points behind fourth-placed Arsenal, meaning Hazard’s security of starts for this double gameweek is further boosted. As with Aguero and Pogba, Chelsea’s Belgian star is his club’s first-choice penalty-taker. Hazard takes on Brighton and Cardiff defences that rank first (9) and joint-second (7) respectively for penalties conceded this season. The Bluebirds’ struggles against the top six are encouraging for Sarri and co, who beat Warnock’s men 4-1 – including a hat-trick from Hazard – back in Gameweek 5. The midfielder also scored and provided an assist in a 2-1 win away to Brighton in GW17. The Seagulls could have one eye on their FA Cup semi-final when they travel to Stamford Bridge next Wednesday, though league survival will undoubtedly be Chris Hughton’s priority. Brighton have conceded six goals in their last four gameweeks. Hughton’s team are generally more solid against ‘bigger’ sides, with 13 goals shipped across eight fixtures. While Hazard has flattered to deceive recently, he does have two double-figure hauls over Chelsea’s last six games. Nine of his 13 goals this campaign have come against sides in the bottom half of the table. For those who are free hitting in #DGW32, there's a lot of us who are already doubled/tripled up on #Chelsea players! Their form is indifferent at best, so are they worth the double/triple up? Gonzalo Higuain (£9.6m) recovered from illness to play 65 minutes in BGW31. The striker has scored three times in the league since arriving at Chelsea in January – twice against Huddersfield and once against Fulham. Olivier Giroud (£7.7m) netted once in each of France’s games over the break and might impact Higuain’s pitch time during DGW32. Chelsea’s defenders were well backed going into BGW31, though put in a shaky showing against Everton. But up against two of the division’s lowest-scoring sides, David Luiz (£5.9m), Cesar Azpilicueta (£6.3m) and Antonio Rudiger (£5.9m) are being heavily bought. Cardiff (27) lead only Huddersfield in the goals-scored column, while Brighton (34) are the league’s fifth-lowest scorers. Azpilicueta has played every minute for Chelsea this season, with Rudiger rotated once and Luiz twice. Andreas Christensen (£5.0m) is a minor threat to the centre-back pairing for the double. Kepa (£5.4m) has started each of the last three gameweeks and appears to be back in Sarri’s good books after the stopper’s Wembley shenanigans. Chelsea’s last shut-out came at home to Spurs in GW28. For those not using a chip this week, the Blues have the added bonus of also playing at home to West Ham in Gameweek 33. Spurs travel to take on Liverpool in a difficult opening DGW32 fixture, before Crystal Palace will be the first team to take Tottenham on at their new stadium. The Reds have only conceded nine times at Anfield so far this campaign, boasting the meanest home and overall defensive record in the league. Jurgen Klopp’s side have conceded three of those nine home goals since GW24, with Leicester (1) and Burnley (2) both breaching the Liverpool rearguard. The Eagles have let in 24 of 41 total goals on the road this season. Roy Hodgson’s men last kept a clean sheet in Gameweek 25, when Fulham visited Selhurst Park. Palace – who will be without long-term injury loss Mamadou Sakho (£4.9m) and potentially Aaron Wan-Bissaka (£4.5m) – have conceded eight goals in their past five league ties. Spurs’ form has been poor in their last four gameweeks, with Pochettino’s men losing three times and drawing once while conceding seven goals. But Harry Kane (£12.5m) has been on a good goalscoring run over that period, notching three times to collect 24 points between GW27 and GW30. Only Aguero and Higuain had more shots than Kane (16) in that time. Six of those hit the target, while nine were attempted inside the box. Owned by just over 15% of bosses, the England striker scored twice (one penalty) during the international break. Squad structure and the lure of Man City assets mean new Kane owners for DGW32 will mostly be chip users. For those managers, much will come down to the availability of funds and willingness to make sacrifices elsewhere. While the out-of-form Spurs do not have the most enticing set of DGW fixtures, Kane has the fantasy pedigree and potential to reward investors. Christian Eriksen (£9.2m) scored a penalty in a 30-minute cameo during Denmark’s friendly against Kosovo last Thursday and registered an assist in the 3-3 comeback draw against Switzerland on Tuesday night. The midfielder’s returns have been sporadic this season, with a 13-point haul in GW26 the last time he has posted attacking returns. But the Dane has completed every league match for Tottenham since GW20. The potential absences of yellow-flagged pair Eric Dier (£4.7m) and Harry Winks (£5.5m) would also boost Eriksen’s hopes of logging 180 minutes in DGW32, with the 27-year-old generally being deployed in central midfield as part of Mauricio Pochettino’s 4-1-2-1-2 formation. The downside of that is a less-advanced role for Eriksen. He has taken ten shots over the last four gameweeks, hitting the target four times. He also supplied six key passes over that period, four of which came during the 2-1 defeat to Southampton in GW30 when the Dane was Spurs’ standout performer. Dele Alli (£8.8m) made his return from injury in that loss, assisting Kane’s goal in an 81-minute showing. The midfielder also managed 127 minutes in two starts for England but failed to register an involvement in any of the country’s ten goals. Heung-min Son (£8.6m) played 180 minutes between last Friday and Tuesday for South Korea, scoring in the second of the country’s two home friendlies. The attacker was rotated by Pochettino last time out and is without a return since a goal in GW26. In defence, Hugo Lloris (£5.4m) will play both games while Kieran Trippier (£6.0m) could do the same after Serge Aurier (£5.7m) picked up an injury over the break. Trippier was an unused substitute in both of England’s matches, but with more appealing fixtures for several clubs in DGW32, it may be a struggle to justify investment in the Tottenham backline. Crystal Palace welcome bottom side Huddersfield to Selhurst Park on Saturday before their trip across London to face Spurs. The Eagles’ first DGW32 fixture is promoting considerable interest in their affordable assets, while they also play away to Newcastle in BGW33. Michy Batshuayi (£6.5m) has started each of the club’s last four league games, scoring twice. Over that period the Belgian took nine shots (five inside the box), four of which hit the target. He also netted in Palace’s 2-1 FA Cup quarter-final defeat to Watford on March 16. ‘The Batsman’ then logged 179 minutes for Belgium in fixtures against Russia and Cyrpus, grabbing an assist in the former and scoring in the latter. Wilfried Zaha (£6.9m) has outscored Batshuayi by 25 to 18 since GW27, courtesy of three goals in that four-fixture stretch. But the forward’s fitness is in doubt after he departed the Ivory Coast without playing a minute for his country over the break. Roy Hodgson should provide an update on the Palace star at his press conference on Friday. The price point and guaranteed pitch time of Luka Milivojevic (£6.3m) make the midfielder an attractive option for free hit and wildcard squads. Eight of the Serbian’s nine goals this season have come from the penalty spot. Milivojevic is not currently being picked for Serbia due to a disagreement with the national team manager, meaning Palace’s resident spot-kick taker will be well-rested ahead of DGW32. However, if Zaha is ruled out, Milivojevic’s stock may fall. At the back, news on the fitness of Aaron Wan-Bissaka (£4.5m) will be heavily anticipated by the community. AWB withdrew from England Under-21 duty last week due to injury. Jeffrey Schlupp (£4.5m) is an out-of-position candidate, with the defender being used as part of a midfield three by Roy Hodgson. Schlupp has a goal and three assists to his name over the Eagles’ last six league ties, completing 90 minutes in each of those fixtures. Raul Jimenez (£6.8m) is causing much free-hit fretting in the FPL community ahead of ties against Burnley (a) and Man United (H). The forward has three goals and an assist in Wolves’ last four gameweeks but there is the threat of rotation across Nuno’s XI with an FA Cup semi-final in mind. Jimenez also scored at home to United in the FA Cup, while netting a penalty for Mexico last Saturday in a 75-minute showing. The striker was an unused substitute in the country’s second friendly early on Wednesday morning. Other potential transfer targets include Willy Boly (£4.5m), who offers both security of starts and goal threat, and Diogo Jota (£6.1m). The winger did not make it off the Portugal bench for their qualifiers, though Nuno has plenty of alternatives to Jota if rotation is part of the plan. After travelling to play Man United, Watford host Fulham next Tuesday before their FA Cup semi-final clash with Wolves on Sunday week. Javi Gracia fielded several second-string players away to Man City in GW30 ahead of the Hornets’ quarter-final win against Crystal Palace, as key attackers Troy Deeney (£5.9m) and Gerard Deulofeu (£5.6m) were used from the bench. Both players are viable transfer targets but come with the threat of rotation, as the Hornets seek silverware having guaranteed Premier League safety. With 97 saves this season, Ben Foster (£4.6m) is an option for those looking to use funds elsewhere in their squads. DGW32 is the first of three doubles for the Seagulls, who play twice in DGW34 and DGW35. Chris Hughton’s side also have the distraction of an FA Cup semi-final on Saturday week, though league survival will be priority number one. Southampton visit the Amex Stadium this weekend before Brighton travel to play Chelsea in a decidedly mixed set of games. Shane Duffy (£4.7m) overcame an ankle issue to play 90 minutes for Ireland on Tuesday night. The centre-half has five goals and two assists already this season. Mat Ryan (£4.4m) and Lewis Dunk (£4.4m) can also be expected to feature twice in Hughton’s XI over the double gameweek. Pascal Gross (£6.7m) has been ruled out of Brighton's first DGW32 fixture and therefore as an option ahead of Saturday’s 11:30am deadline. 💬 "Everybody has come back from international duty ok.
"Florin Andone has trained today, Pascal Gross didn't.